1/12/09 : Goo Nite Christmas gig! Christmas is coming and so is our Christmas gig on the 10th at the Wilmington Arms for Goo Nite. I promise to have fairly lights on my Uke. 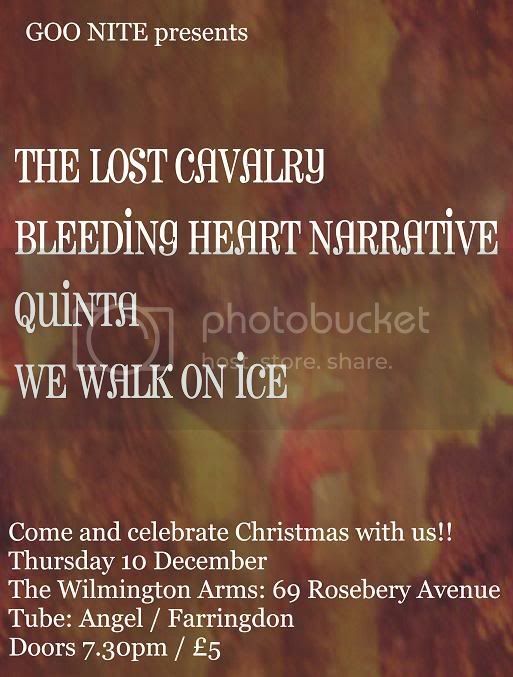 Support is from Bleeding Heart Narrative, Quinta and We Walk On Ice... Thursday 10th Dec at the Wilmington Arms, 69 Rosebery Avenue, doors 7:30pm/£5. 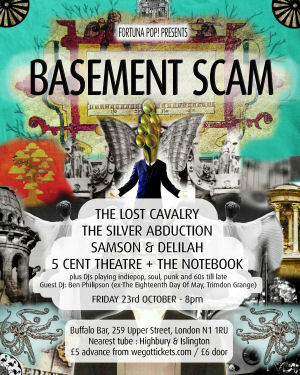 Here's the facebook link and here's a flyer. Our Christmas recording is going well... very well, we're excited, can't wait to release it into the world... 13th December is the date! Hi! 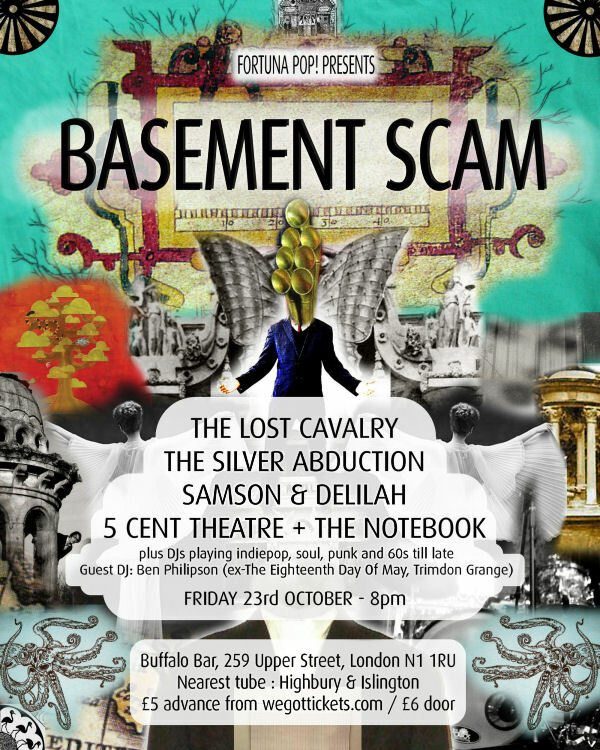 I have some good gigs coming up before Christmas with The Lost Cavalry... Thursday 26th Nov in Brixton supporting the brilliant Jonquil - that's going to be a top night. Then Monday 30th in Camden playing with our friends Marcel for their EP launch party, and then in December our Christmas gig on the 10th at the Wilmington Arms... we've been working on a few new songs and are hoping to play a couple then. One is based on this short film. And finally, if anyone fancies a night out dancing and then come to the Wonderland Unbirthday Party this Saturday (21st) at Jacks, London Bridge where I will be staying up late and DJing 'chilled out grooves for worn down shoes' from 5am. Thanks to Bryan of BON for filming it.